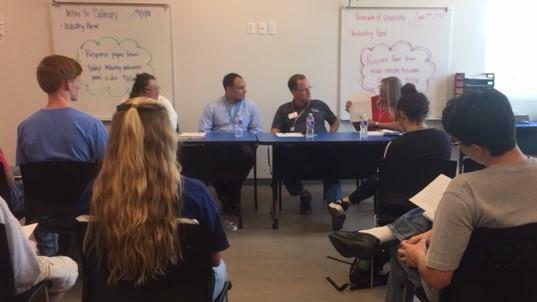 On Friday September 7th, our Principles of Hospitality and Tourism classes and our Introduction to Culinary classes had the opportunity to visit with Industry Professionals from the local area. We had professionals from the Tyler Tourism Board, The Marriott, local restaurant owners, managers and Human Resources representatives. We also had visitors from Restaurant Suppliers, chefs and a City Council Man. 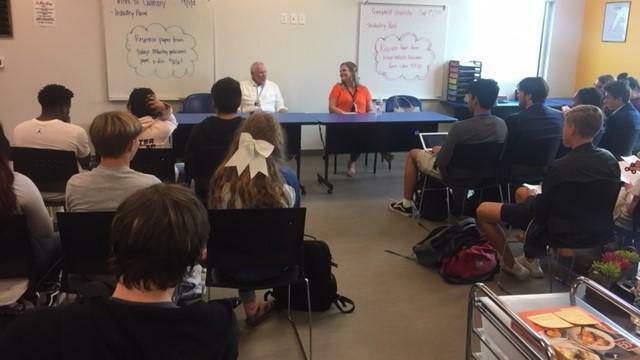 Students were allowed to ask questions about the industry and learned how to succeed in each industry. We’d like to send out a special thank you to all of our visitors for taking time out of their schedules to visit with our classes and share their knowledge with the future workforce! 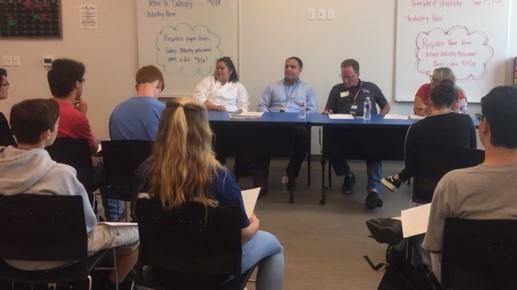 On Monday, September 10, our Introduction to Culinary classes met with representatives from UT-Tyler to participate in a Culinary Chemistry Lab. Students utilized freezing point depression and molecular gastronomy to make ice-cream and chocolate caviar. Students enjoyed getting to apply science theories into their Culinary Classroom. These classes will help students earn the Business and Industry Endorsement and the Public Service Endorsement. Students have 14 pathways to earn these 2 Endorsements.